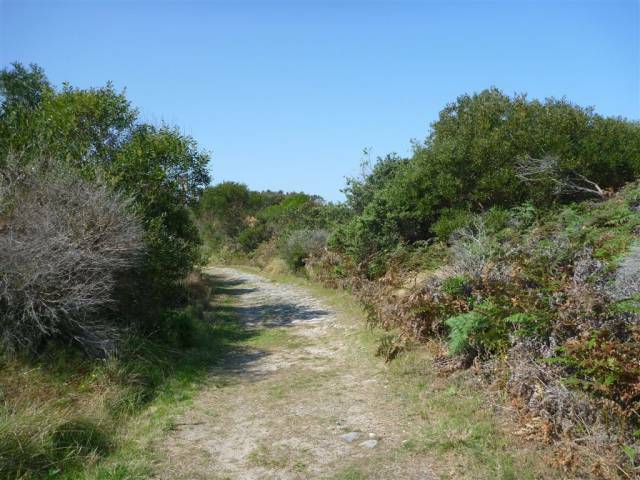 Around 150m of this walk follows a clear and well formed track or trail, whilst the remaining 100m follows a smooth and hardened path. 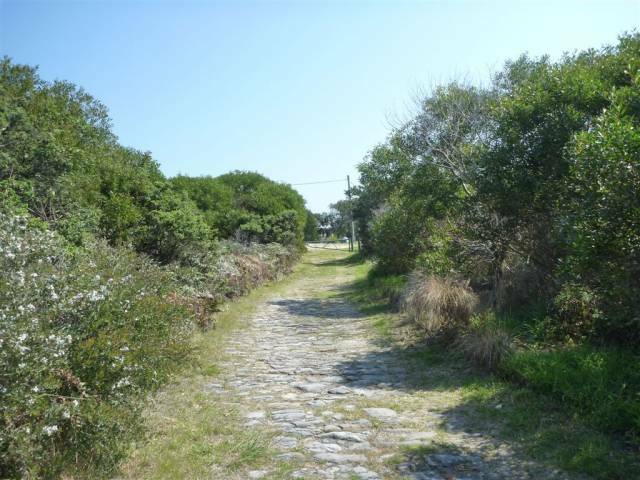 (0 km) Int of Cape Banks Rd & Cemetery Trail to Coast Hospital Cemetery int. 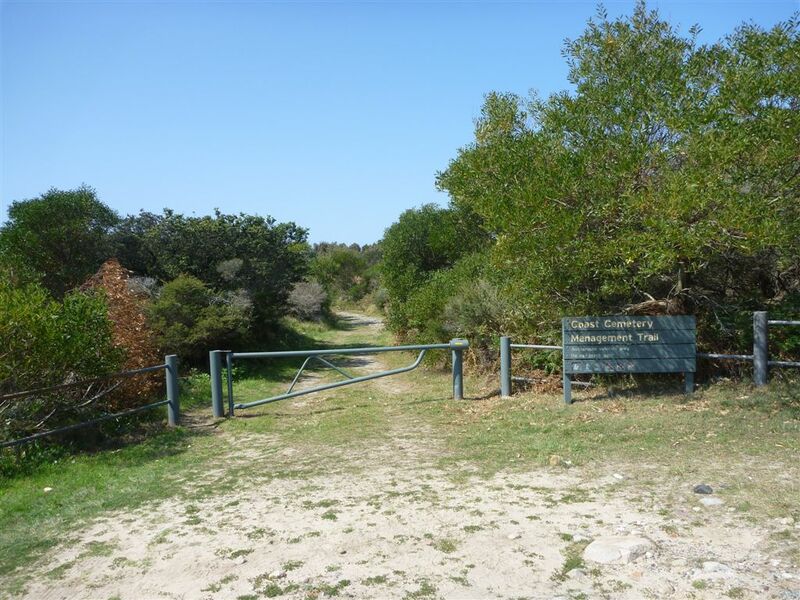 La Perouse (about 1km past NSW Golf Course main gate), this walk follows the 'Cemetry Trail' sign around the locked gate[fac=8253], and along the management trail. 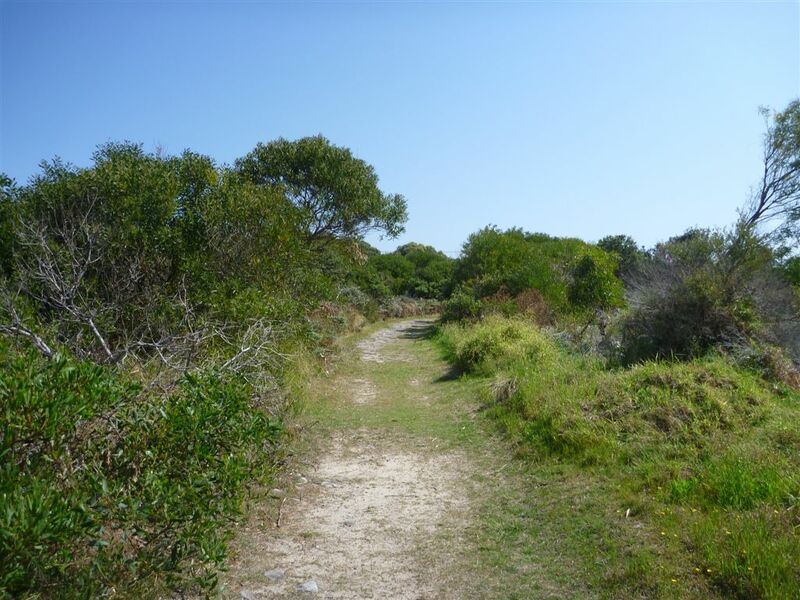 The grassy trail leads for about 20m to pass over a cobbeled stone section[fac=8254] then continues to follow the level trail for another 110m, to come to a large 3-way intersection near the Coastal Cemetery (on the right). 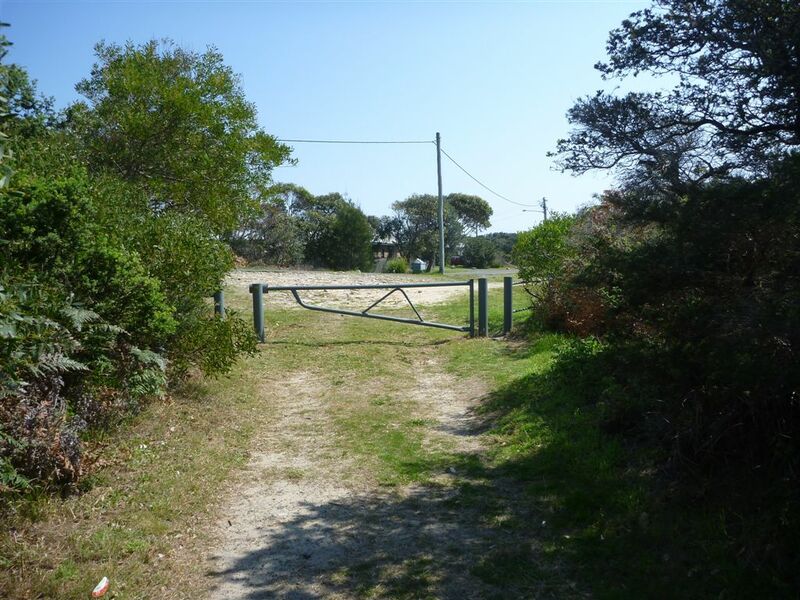 Veer right: From the intersection, this walk heads away from the main trail and into the large clearing towards the timber fences and entrance to the cemetery. 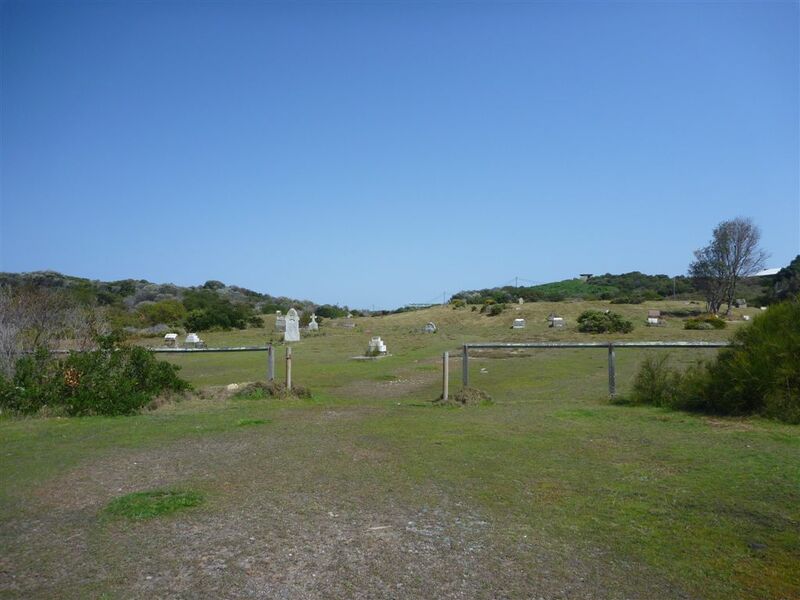 The walk veers right following the NPWS arrow  through the gap in the fence and into the grassy cemetery. From here you can roam around exploring and reading the head stones. 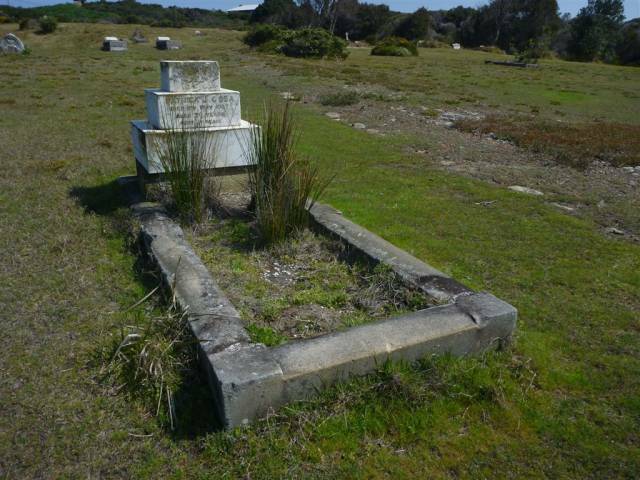 The Coast Hospital Cemetery on the northern side of Botany Bay was first established in the early 1880’s and is now home to as many as 2000 graves. It serviced the Coast (Prince Henry) Hospital, originally a smallpox hospital. People who died of smallpox were required to be buried at the hospital grounds. The hospital was built far enough from the city to provide quarantine and for this reason, the hospital in time became an infectious diseases hospital, also treating patients with influenza, bubonic plague, typhoid fever and leprosy. 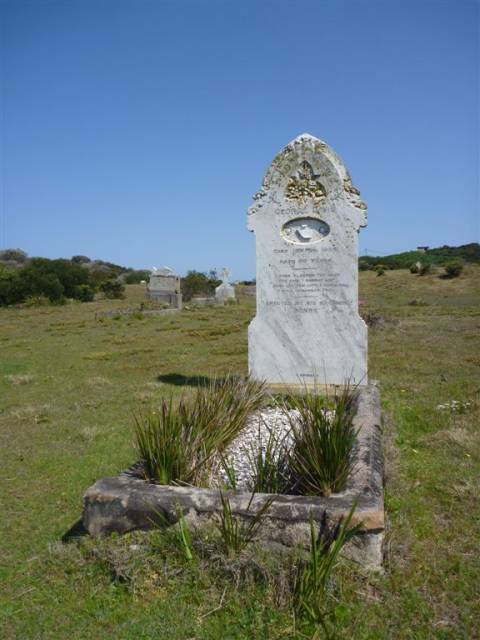 Unfortunately, the cemetery has at times fallen into disrepair and some of the headstones are difficult to read. Many of the graves are unmarked. 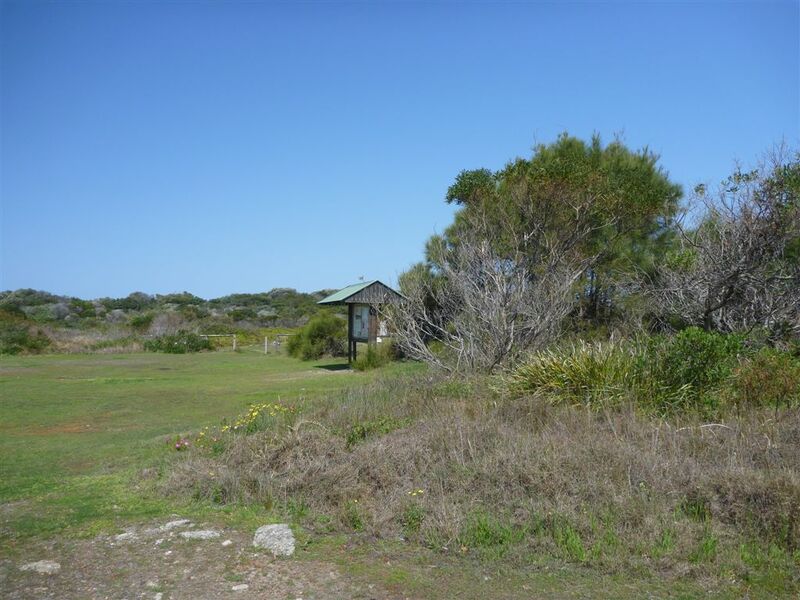 On the eastern edge of the cemetery is an information sign explaining that in the area are also buried the ancestral remains of the La Perouse Aboriginal people returned from museums. A place steeped in history and worthy of respect. 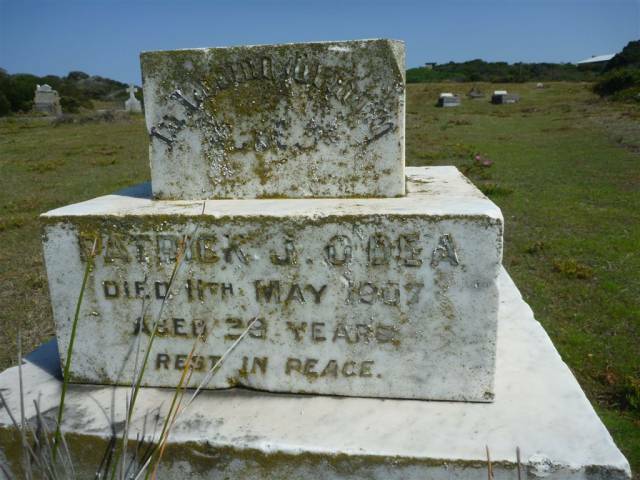 A list of the nearest UHF CB repeaters I found to The Coastal Hospital Cemetery Walk.